This is a photo essay to accompany my article published through the Contributoria platform in March. The article is called Private sector to the rescue? Malawi’s changing conservation landscape. In the article, I explore how a public–private partnership saved Majete Wildlife Reserve from collapse and provides a model for further success. The article and photos are available to be licensed for further use, so please get in touch if you’re interested! Catherine Dines from Tsekela village makes a meal out of ground millet, one of the staple crops in the region. The UN estimates that nearly half of Malawi’s children younger than five are malnourished to the point of stunted growth. Two thirds of the population gets by on less than $1.25 a day. 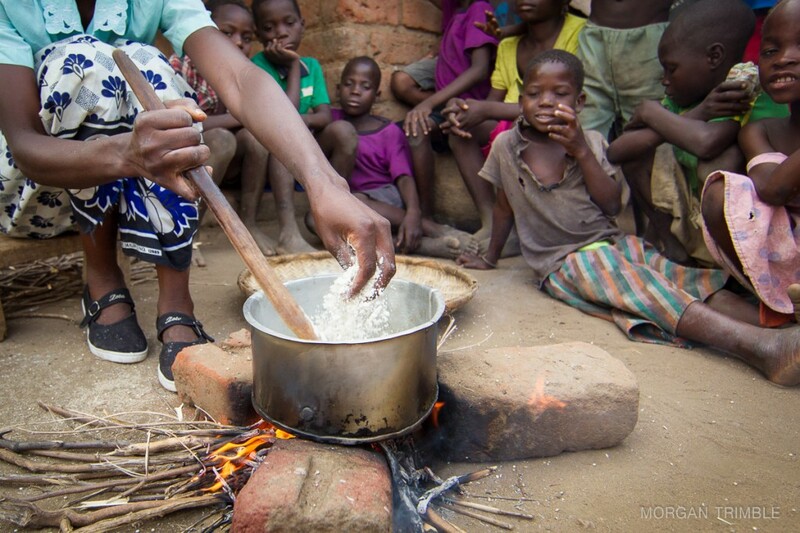 Rural people in Malawi are very dependent on what the land provides for food and fuel. 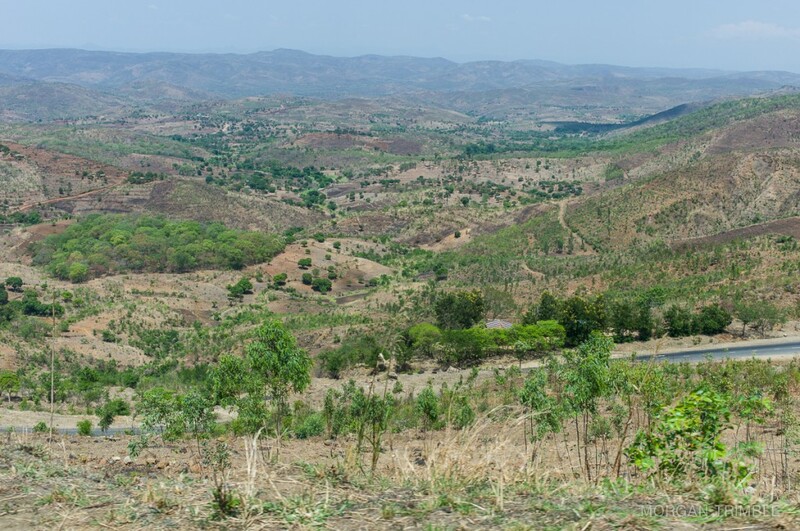 This is typical of the view on the drive between Blantyre and Majete Wildlife Reserve. Land to grow crops and trees to use for charcoal or firewood are scare commodities. The rains came late in Majete Wildlife Reserve in 2014, and November was extremely dry. 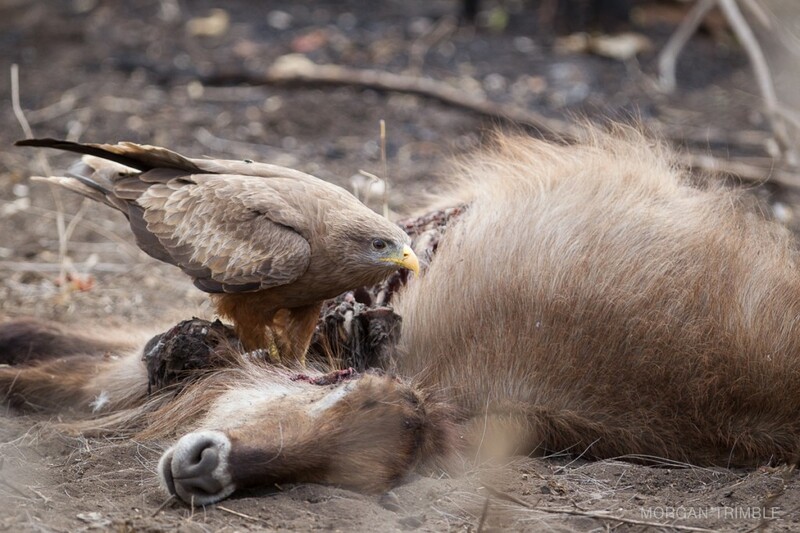 Here a yellow-billed kite feasts on a waterbuck that didn’t survive the dry spell. An elephant bull stands in the foreground waiting for water to start pumping at a solar powered waterhole. 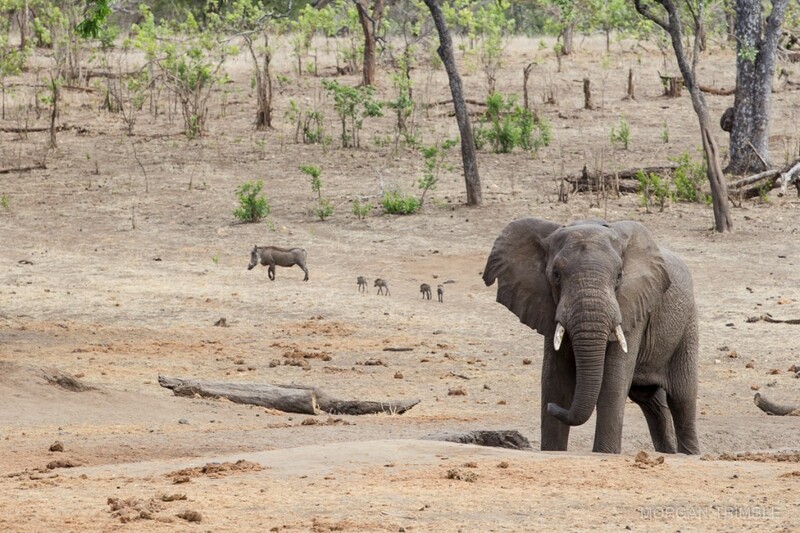 Warthogs, like the sow and piglets in the background are one of the most drought sensitive animals and many couldn’t survive the tough conditions due to the late rains. 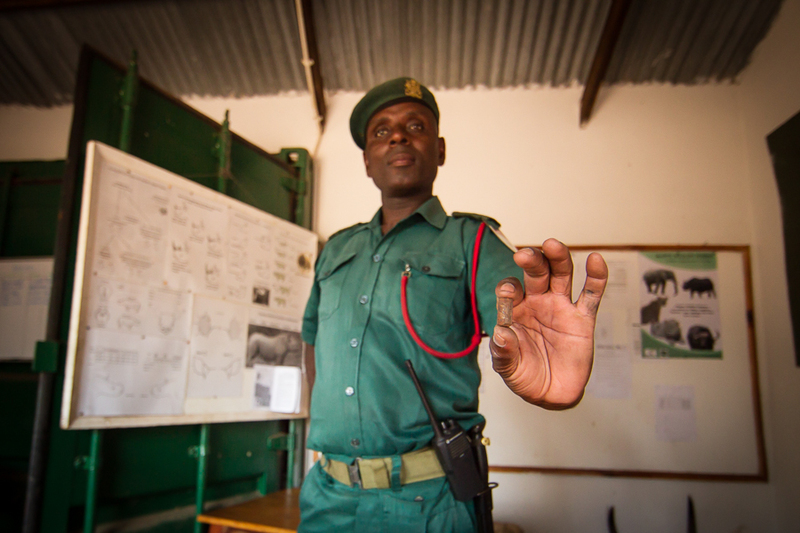 Majete’s head of law enforcement, Tizola Moyo shows an improvised bullet—a piece of rebar cut to size for use in a homemade muzzleloader. The bullets were confiscated from poachers in an ongoing battle between conservation interests and people desperate for scarce resources. 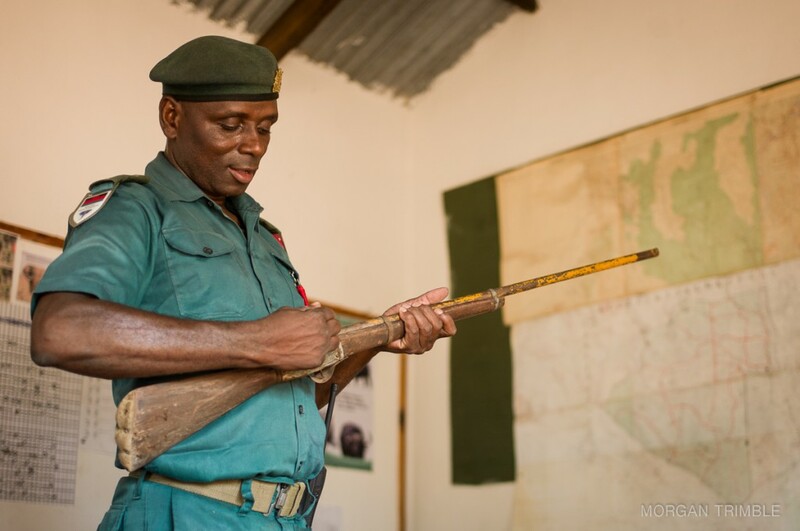 Poaching escalated dramatically in the late 1980’s with the arrival of a large population of Mozambican refugees bringing automatic weapons and the knowhow to quickly craft crude homemade muzzleloaders like this one. Rhino, elephant, buffalo, sable, eland, hartebeest, lion, leopard, and others were exterminated from the region. African Parks, a Johannesburg-based NGO, took over management of Majete Wildlife Reserve in 2003 from the Department of National Parks and Wildlife (DNPW). At the time, there were barely any animals left, no tourism or income, and few employees. African Parks fenced the whole reserve by 2007 to ensure the reintroduced wildlife would be safe. Here, the man responsible for maintaining Majete’s fence does some routine maintenance. African Parks reintroduced more than 2,500 animals of 14 different species to Majete. Majete operations manager, Craig Hay, fits one of the lions with a new GPS collar, while Dr Amanda Salb from DNPW checks on the lion’s health with the help of Tizola Moyo. 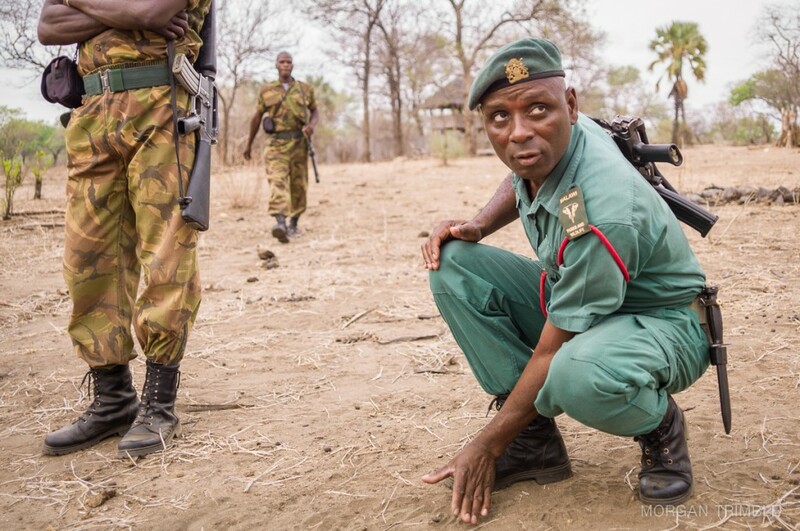 African Parks reintroduced black rhino into the park, and the law enforcement team keeps very close tabs on them, tracking on a daily basis. 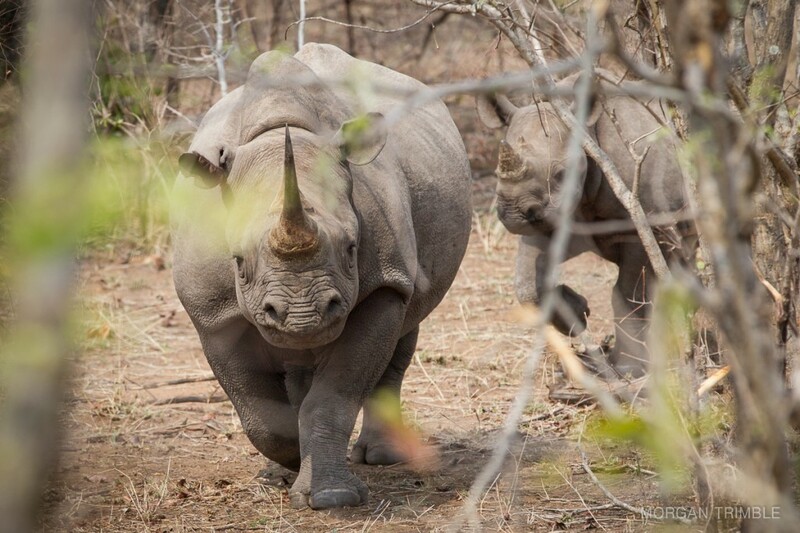 The rhino trackers can recognize individual rhinos by their footprints alone. 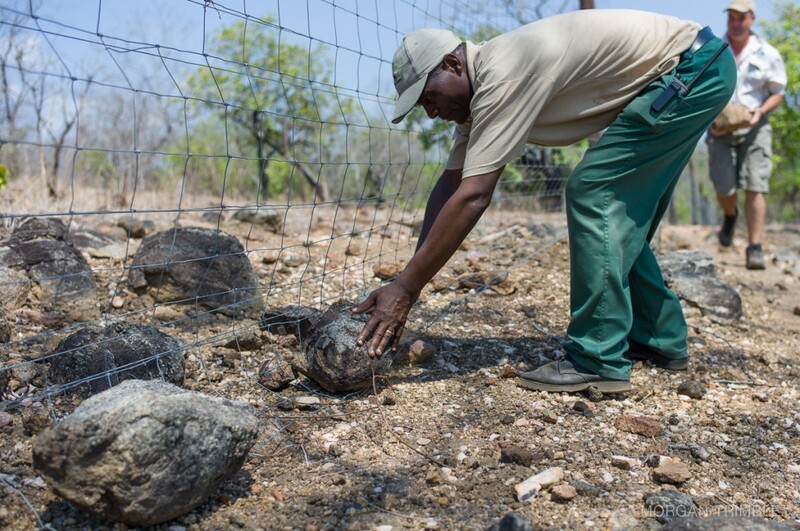 Here Tizola Moyo, head of law enforcement, picks of the spoor of a rhino. 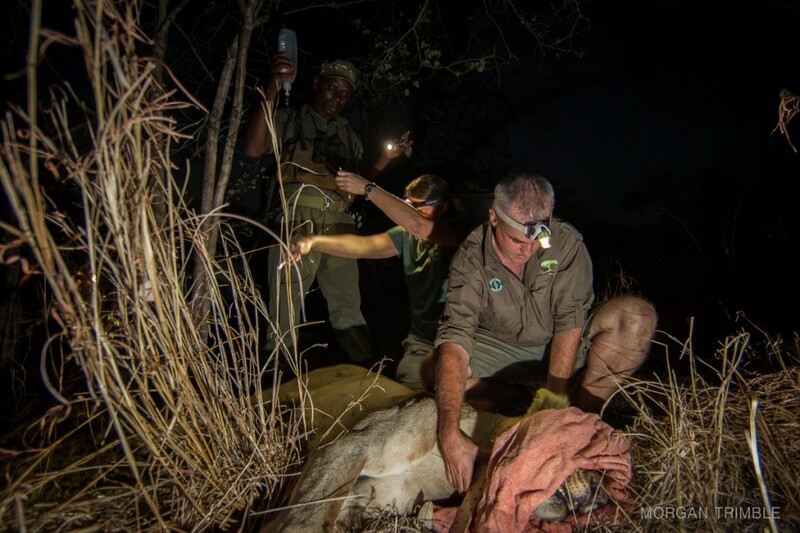 After three hours of tracking, the rangers are able to confirm that the rhino and calf they have been looking for are safe and in good health. Since taking over management, African Parks built infrastructure for tourism including Thawale luxury tented camp shown here. In 2014, 8000 visitors traveled to Majete and next year management hopes to recoup at least half of the operational budget through tourism revenue. Children on a field trip to Majete from Blantyre answer questions after listening to a talk by Steve Wemba, Majete’s environmental education officer, at the newly built heritage and education center. 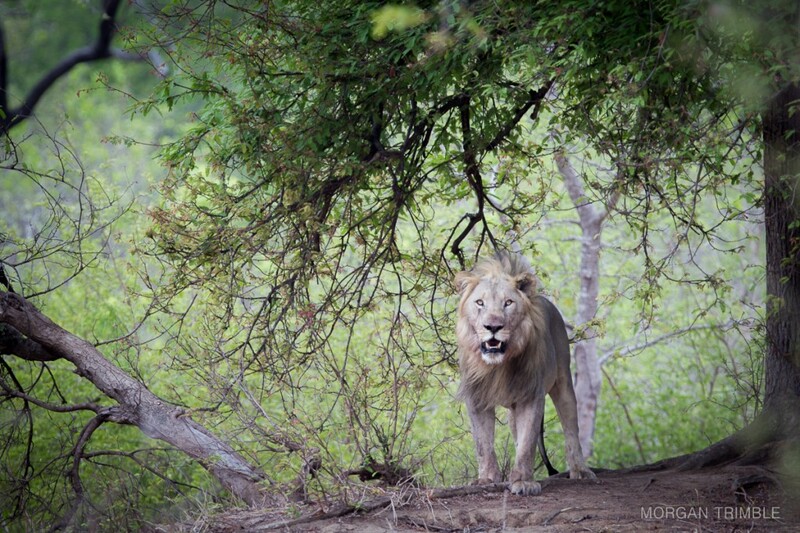 Many kids, despite living on the boundary of the park, have never seen wildlife like this lion. 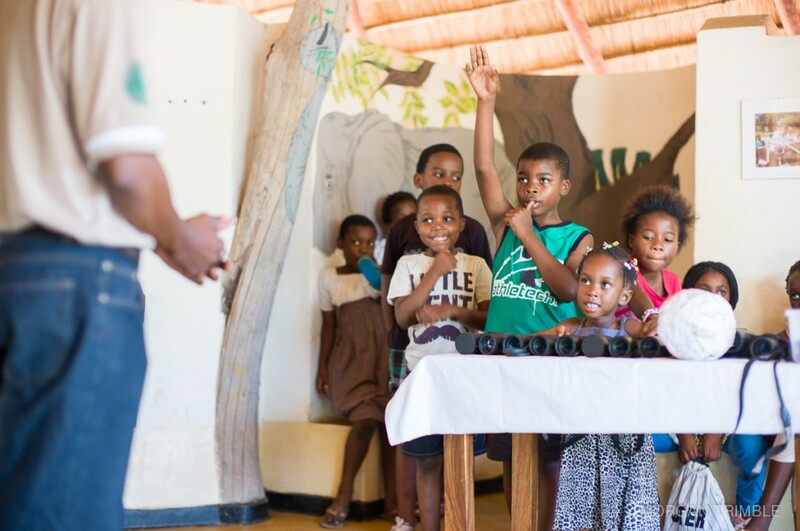 African Parks organizes field trips for schools to visit the park as part of the community outreach they call “building a constituency for conservation”. They hope to teach the youth the importance of the Majete Wildlife Reserve. In 2003, there were just a few crocodiles left in the Shire river, Malawi’s largest and the only outlet of Lake Malawi. With better protection, populations have increased. 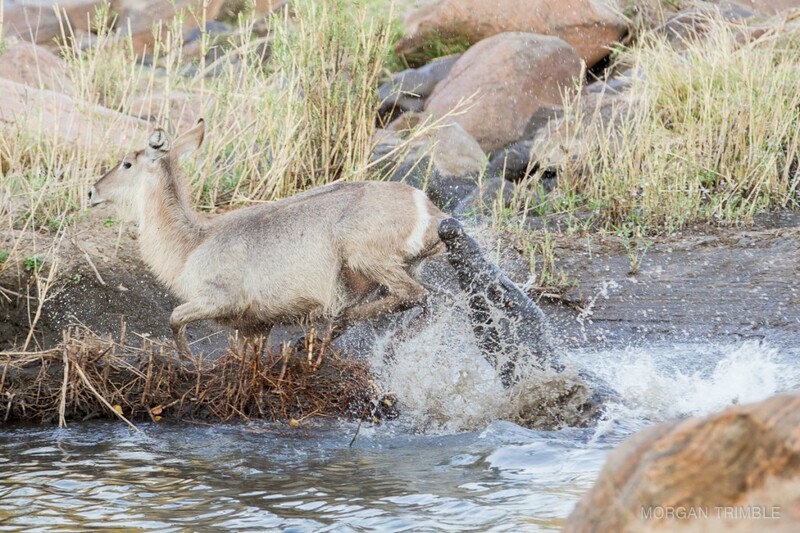 As if the drought conditions weren’t bad enough for waterbuck, this female narrowly escaped a crocodile attack after wading through a pool in the river. 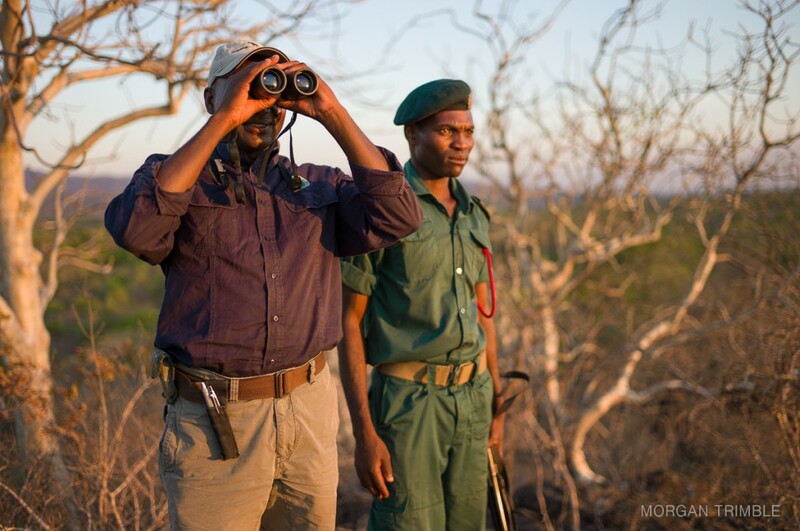 Safari guide, Jimmi Chikombe, and a game scout wait scan the horizon after running into a clan of hyenas atop one of Majete’s rocky outcrops. 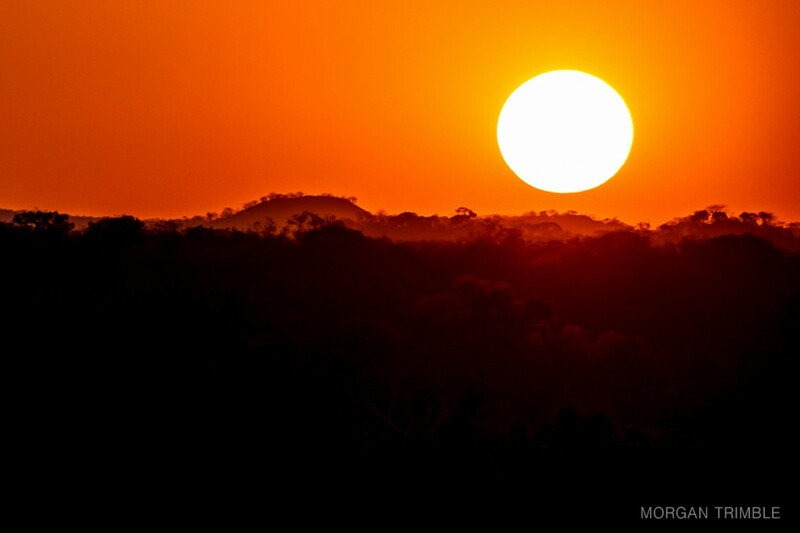 A fiery sunset over the hills of Majete Wildlife Reserve. 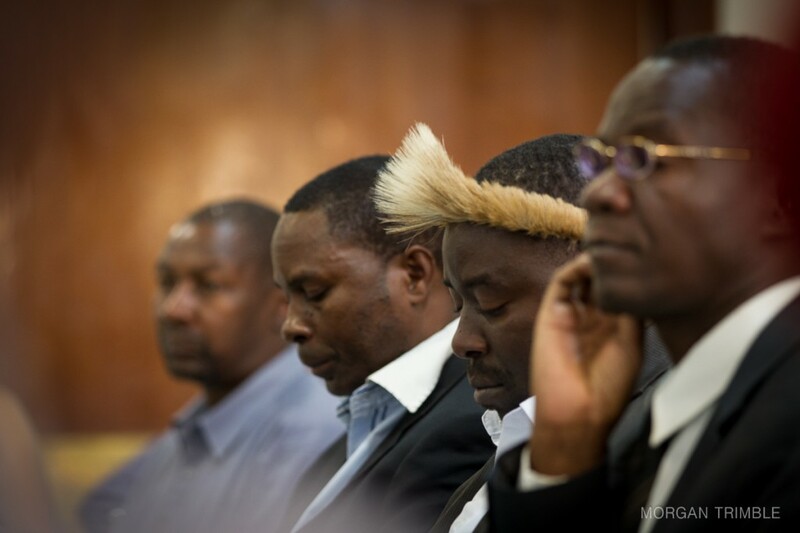 Politicians and chiefs from the areas surrounding Majete listen attentively at the reserve’s annual stakeholders’ meeting in Blantyre in December. At the meeting director of the DNPW, Brighton Kumchedwa, announced that, using Majete’s success as a model, government would open other parks in Malawi to partnerships from the private sector. Your father sent me a link to your article and this is just art short note to tell you how much I enjoyed it. Nicely written! Keep me on your update list.